Sekolah Perdagangan Dian was established in year 2002 under the name of Pusat Tuisyen Dian which offered its tuition to SPM students in Prinsip Akaun. Due to high demand for accounting students in market environment, Pusat Tuisyen Dian has changed its name to Sekolah Perdagangan Dian. 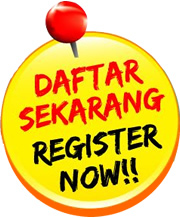 To cater for competitive environment, Sekolah Perdagangan Dian has expanded its range of products to certificates courses in accountancy which is offered by LCCI (London Chamber of Commerce and Industry) and City & Guilds. Starting with its humble beginning, Sekolah Perdagangan Dian is now having more than 300 students annually. The passing rate and number of students score an ‘A’ or Distinction in the subjects are encouraging and shows an upward trend from year to year. Sekolah Perdagangan Dian cares for your education needs and is passionate about creating opportunities and means in advancing the best interest of the students, and where the future of all students are driven by their own aspiration and not bounded by circumstances. Our vision is to become a caring environment which holds to preserve, promote and provide quality programmes and care support for every learner. Provide, promote and support environment that result in international recognition for our programmes. Develop and maintain an organization based on team work, trust, transparency and competence.